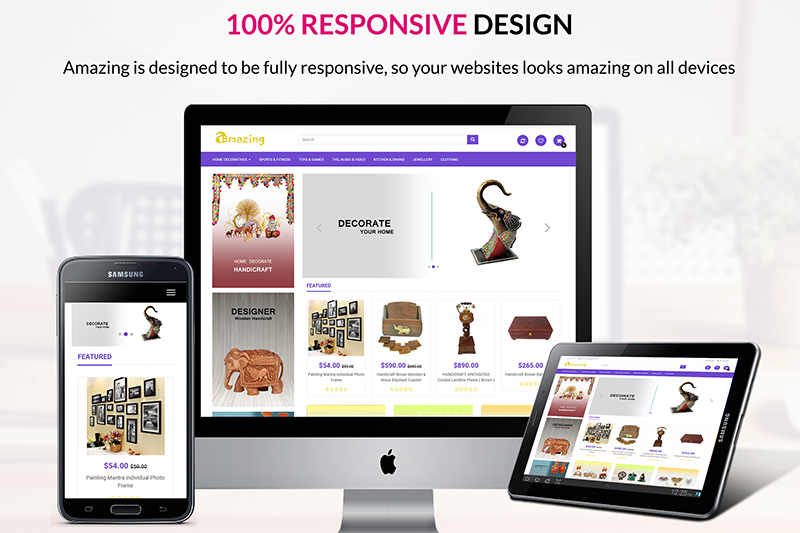 Amazing is a Responsive Marketplace theme for opencart version 3. It is Responsive, supports Multivendor Marketplace and comes with many free extensions. 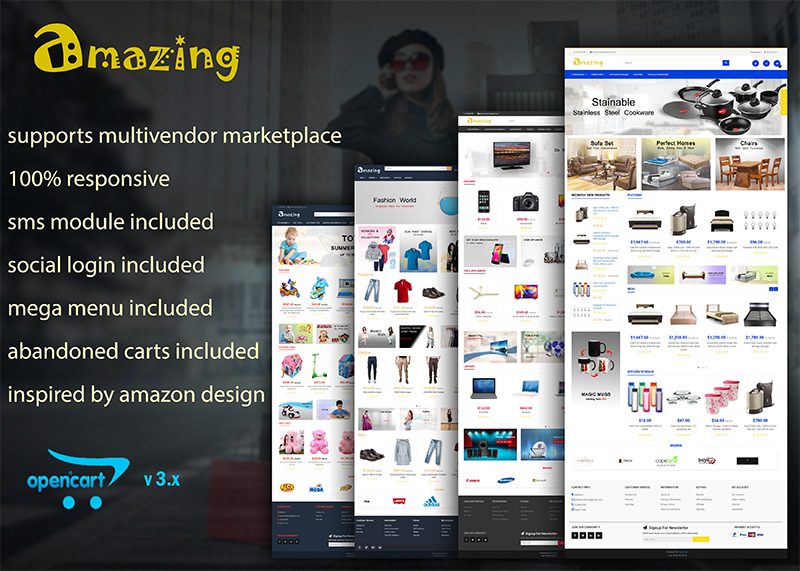 Amazing is a responsive Marketplace theme for opencart version 3. It can be used to create a web store or marketplace with a design similar to Amazon website. This theme works out of the box with Purpletree Multivendor Marketplace extension for Opencart. That makes it easy to launch your own marketplace quickly and easily. You need not worry about your website working on different devices. 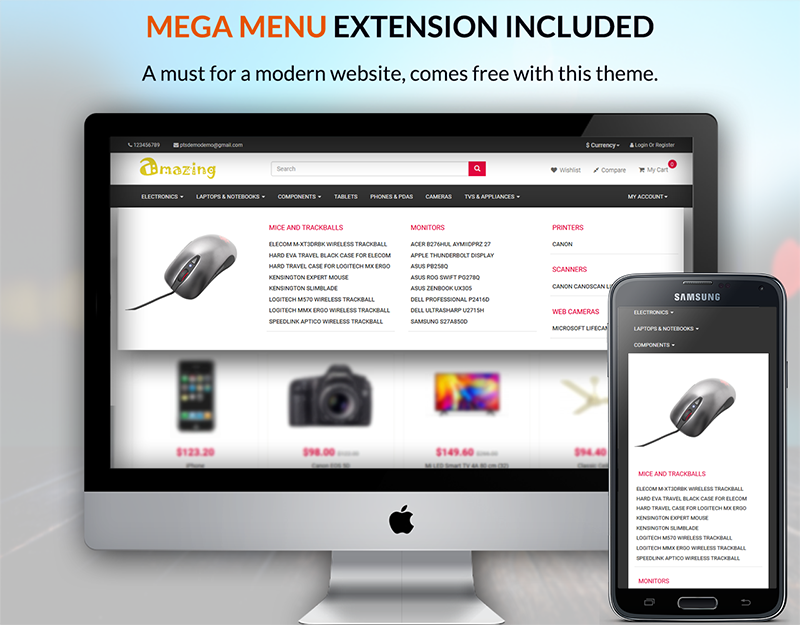 This theme is 100% responsive for all devices and layouts. Mega Menu enhances the visual appeal of the website and makes it easy for visitors to locate products. This module comes free with our theme. 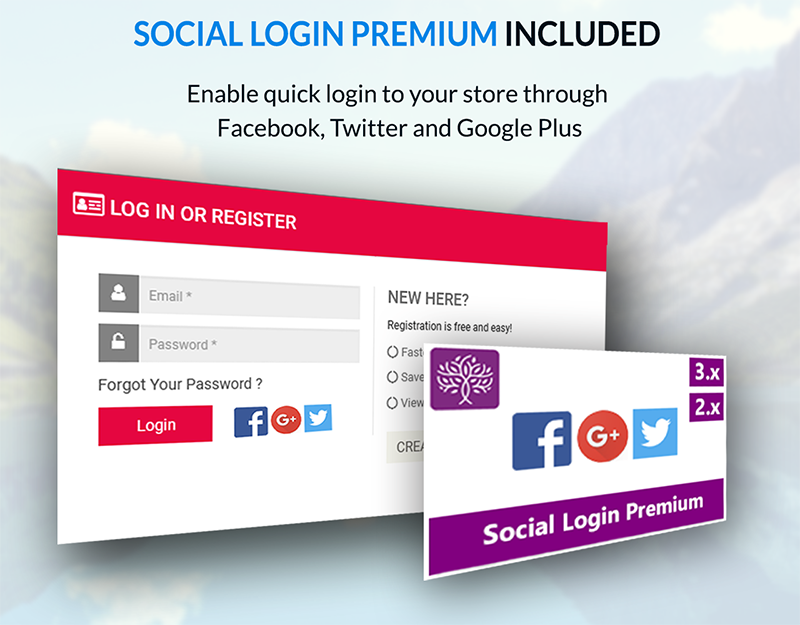 Use the power of Social Media and allow logins from Facebook, Twitter and Google Plus from your opencart marketplace store, using Purpletree Social Media Login extension. 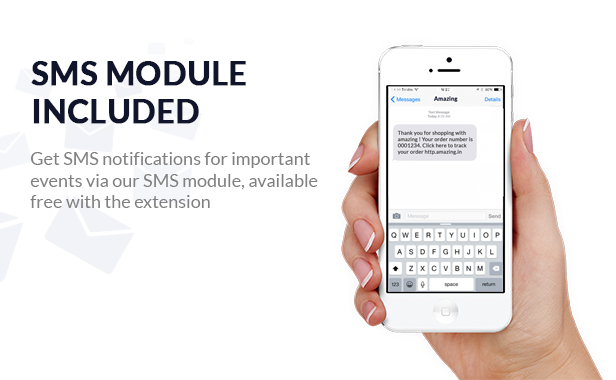 You get added capability of sending SMS on order confirmation and on other events, using our SMS extension for opencart, given free with this theme. 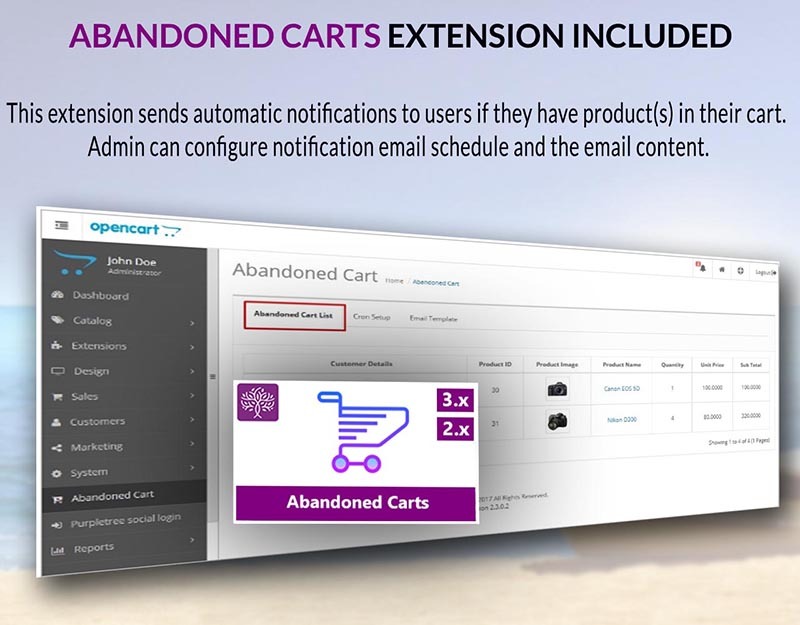 Now catch those elusive customers, with this powerful Abandoned Carts extension, included free with this theme. The system can send automated emails to customers who have items in their carts. 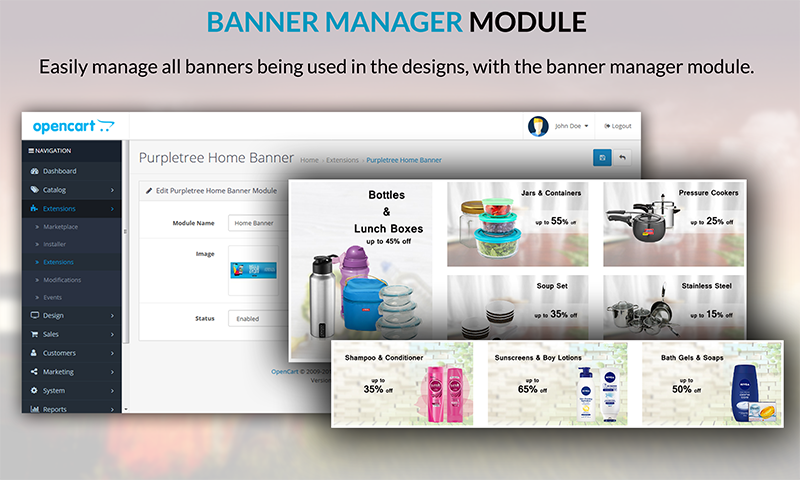 With the banner manager module, manage homepage banners in a dynamic manner. 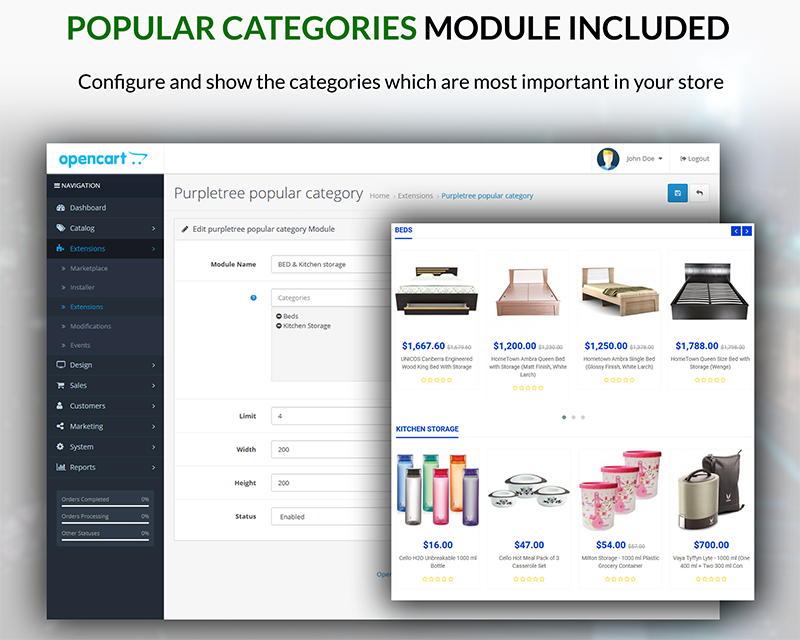 To highlight the most important categories from your store, use this module. Here one can set the popular categories so users can easily locate their products. Purpletree is a team of experienced eCommerce developers. At Purpletree we are extremely passionate about developing high-quality and user-friendly software products with a focus on customer delight. © 2019 PurpleTree Software. All rights reserved.